Contemporary Debates in Aesthetics and the Philosophy of Art features 22 original essays by leading authors in aesthetics and the philosophy of art. A pair of contrasting essays addresses each of eleven distinct issues, including the nature of beauty, aesthetic experience, artistic value, and the nature of our emotional responses to art. 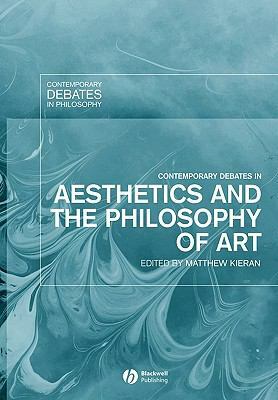 The contributions to this volume provide a thorough introduction to the major topics in contemporary aesthetics and the philosophy of art, in the distinctive format of philosophers engaging in head-to-head debate at a level accessible to the nonexpert. Showcasing original arguments for well-defined positions, as well as clear and concise statements of sophisticated philosophical views, this volume is an excellent resource for professional philosophers and students alike.Kieran, Matthew is the author of 'Contemporary Debates In Aesthetics And The Philosophy Of Art', published 2005 under ISBN 9781405102407 and ISBN 1405102403. Loading marketplace prices 103 copies from $23.07 How does the rental process work?